Advanced Notebook lets you take notes, annotate PDFs, sketch ideas, sign contracts, fill forms, print documents and more right on your iPad. 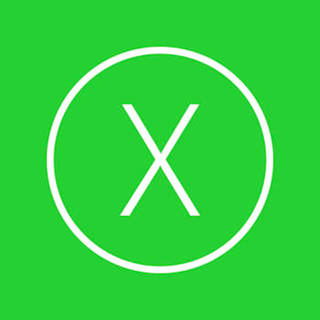 Syncs and works with all popular cloud services such as Dropbox, Google Drive and Box. Advanced Notebook prides itself as the only note-taking app that offers the most beautiful handwriting effect - this is one of the key reasons why our users fall in love with Noteshelf. It perfectly mimics that intuitive ink-on-paper feeling so smoothly, its as if you’re using a real pen and paper. • Feel the fluidity and smoothness of our pens, pencils and highlighters that rival the real ones. • Our unique ink pens produce a beautiful calligraphic effect that makes any handwriting look gorgeous. • Our extensive paper template library offers papers for all your needs from simple ruled papers to special day planners and workout logs. 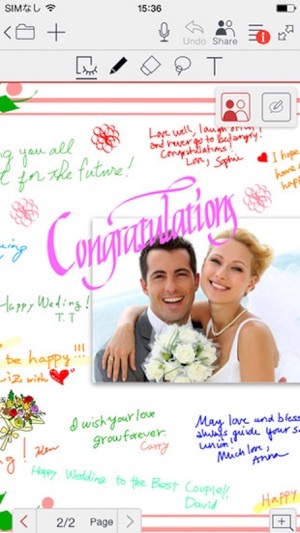 • Turn the personalization a notch by changing your shelf themes to suite your choice of notebook covers. • Create as many notebooks as you wish for various purposes like meeting notes, journals, sketches, project work, class notes. • Neatly group related notebooks by just dragging and dropping them on one another. • Organize pages inside and across notebooks with ease. 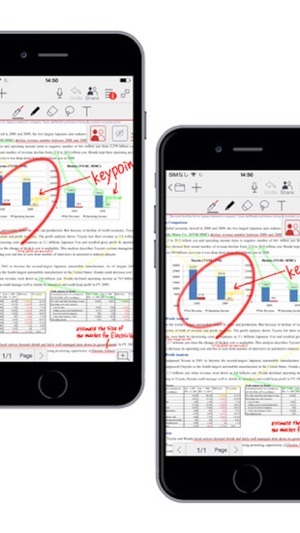 • Zoom in to your notes for a more close-up and detailed writing. 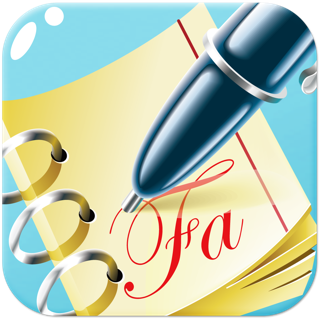 • Add photos to your notes, artworks, recipes, diaries & more. 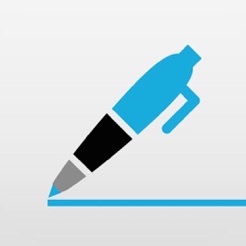 • Offers left-handed and other 5 more writing modes to meet everyones writing style. 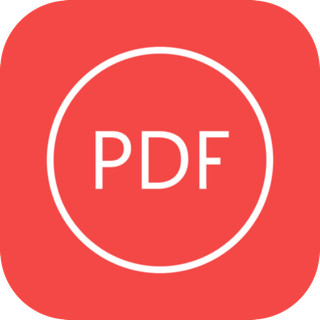 • Open-in and import PDF and MS Office documents as notebooks in Noteshelf. 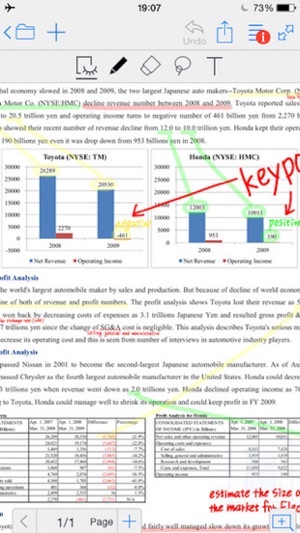 • Highlight and underline key information in your documents. • Automatically sync and access all your notebooks via your Evernote account from any device. • Send your notes to Dropbox, Google Drive for archival or sharing with classmates, colleagues or clients. 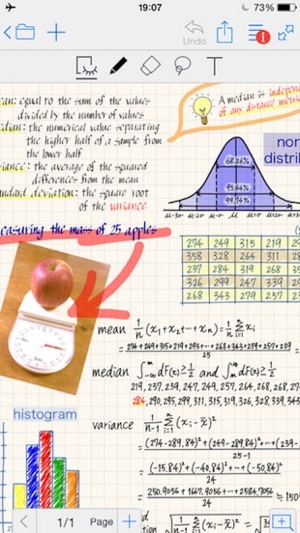 • Showcase your lecture notes, diagrams, ideas & more using a projector. 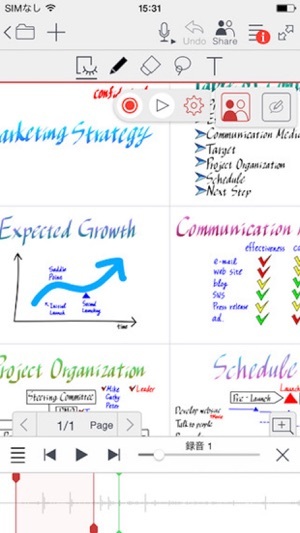 Advanced Notebook offers a special whiteboard mode for this purpose. • Any iPad stylus will work great with Advanced Notebook. 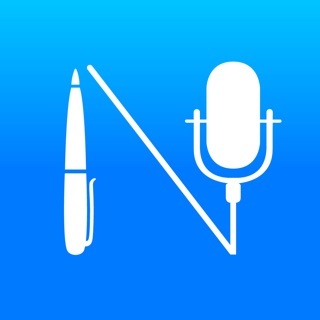 • Advanced Notebook now offers support to Livescribe 3 smartpen, allowing you to sync everything you write on a paper directly onto your iPad over Bluetooth Smart wireless technology.